8mm vhs to minidv canon pass through mode to apple mac! Cant believe this actually worked. Capturing some classic footage! 8mm vhs to minidv canon pass through mode to apple mac! Cant believe this actually worked. Capturing some classic footage!. Exciting isn’t it when things like this work. Comments Off on 8mm vhs to minidv canon pass through mode to apple mac! Cant believe this actually worked. Capturing some classic footage! Problems importing DV video into iMovie? It could be two things. 1. From Little Dog WHICH MACBOOK??? I hope you don’t have a MacBook (made between October, 2008 and June, 2009) or MacBook Air – they have no firewire port and no way to add one. You alternative is to use a computer that has a firewire port. 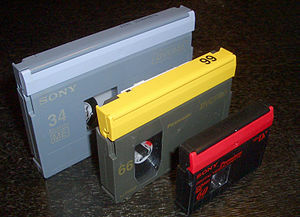 MiniDV tape based camcorders require you to use firewire to import the video to a computer. USB will not work – in your case, iMovie will not recognize there is DV-format video coming in over USB. Even if you somehow magically are able to get USB streaming to work, that video will be low-quality compressed video. High quality DV-format video needs to come over using firewire. USB is typically used only for transferring stills off the memory card (you discovered this). Firewire, DV, i.LINK and IEEE1394 are all the same thing. A USB-to-firewire cable/hub/adapter/converter won’t work either. The camcorder should be powered off before connecting or disconnecting the firewire cable from the DV port. If powered-on, you run the risk of shorting the pins in the connector and blowing the firewire port. The camcorder needs to be in Play mode – this is on the power switch. Many Panasonics required the camcorder to be plugged into the AC power adapter when transferring video. When the camcorder is connected to AC and firewire connected to the computer, launch iMovie. The first window that appears lets you name the video project file, selct the hard drive destination and the video format (needs to be at DV or DV widescreen – which ever is on that tape). Create. The blue “Camcorder connected” screen should appear. At the bottom of that window, use the rewind button to rewind the tape in the camcorder if necessary. When you are ready, click Import. This is a real-time activity. Ten minutes of video = ten minutes import time. SAVE when the import is done. Comments Off on Problems importing DV video into iMovie?